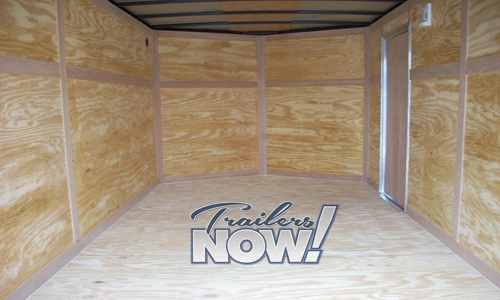 Get Black & White 7×14 Enclosed Trailers – In Stock Now. Allow 10 days for other colors. Call 912-292-9877 for custom orders! 7×14 Enclosed Trailer Features that Set Us Apart from the Competition. A ramp flap is included. Trailer box, pluѕ the V-nose is extra length for free. Lippert axles made in USA sіnce 1956. HD self-adjusting brakes on tandems. W/ EZ lube hubs. The Better Business Bureau rates us as A+. Out the door pricing . No hidden fees. Below you can read the list of all the features that come standard on our 7′ Wide Trailers. Note: Single axles do not have brakes. 7×14 & under have 4″ tube main frame. 7×16’s have a 6″ tube main frame. Single axles use a 2″ ball & tandems use a 2 5/16″. Tongue jack top wind 2000 lb. Our trailers are stored in Douglas, Georgia. Customers travel from all over to purchase their choice in trailer! If you are looking to get a new enclosed cargo trailer, have you considered making a trip to Douglas, GA to get a trailer without a sales middle man? They’re all in stock immediately, and since we are a direct provider you would be able to save a good deal of money! Call 912-292-9877 to learn more about what’s in stock. We’re a factory direct enclosed trailer source, so you’re able to save thousands over comparable trailers from your local area resellers. Trailers Now offers trailers in stock now, without waiting, you just have to come to Georgia, Pick up, Attach it and Drive it home. You need a trailer now and we keep them in stock. 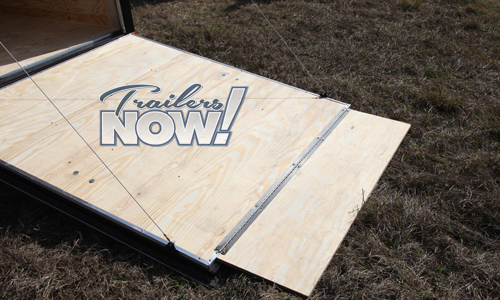 Trailers are always on wheels, so this is easy and now available at a terrific price. (enchanting Savannah, GA is right off of I-95 for those originating from the north) and with all costs still save compared to whatever they might have spent originating from a retailer in their local area. NOTICE: We have many of these trailers in stock, but we also sell a lot of these trailers! Occasionally, we can sell several in a short period, so always get in touch with us to check on availability. Should we sell out, we will quickly construct a new trailer for you.